As food becomes more expensive to bring to market, the tools needed to harvest and develop it come under intensifying performance pressure. Improve agriculture equipment functionality with reliable rubber products from Minor Rubber. We are a top molded, extruded, and fabricated rubber parts manufacturer for the agriculture industry and its suppliers. Whether you need production of existing components, prototypes for research and development or replacement items for hard-to-find or obsolete applications, we have the capabilities and expertise to supply quality rubber parts on time and within budget. The farm and agriculture industry requires rubber parts that can protect against leakage, resist chemical intrusion and seal openings from dust, contaminants and moisture. Applications are also often exposed to the elements for extended time periods, so rubber components must resist ozone, oils, and ultraviolet rays. Minor Rubber is an expert in developing specialty rubber parts for a variety of applications operating in all types of environmental conditions. With an extensive inventory of stock rubber parts, expedited delivery is available. We offer turnkey Original Equipment Manufacture services and can private label products for fabrication kits or retail sale. 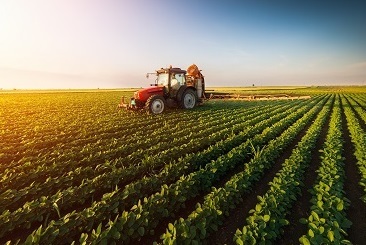 While off-the-shelf rubber products are suitable for some markets, farm and agriculture applications require rubber products that can withstand long-term exposure and extreme stresses. Minor Rubber can develop a custom rubber solution for your application. Founded in 1914, Minor Rubber understands the farm and agriculture industry is constantly evolving. We stay on top of our industry by being experts in yours. We have a well-earned reputation for quality rubber component production, so request a quote to order your parts today.